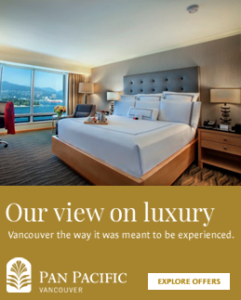 On March 23 the Pan Pacific Vancouver will go lights out……(for 1 hour). From 8:30-9:30pm, the Hotel will power down all common area lights in support of Earth Hour 2013. Earth Hour is a worldwide annual event organized by the World Wildlife Fund (WWF) that encourages households and businesses to turn off their non-essential lights for one hour to raise awareness about the need to take action on climate change. EH is now the single, largest, symbolic mass participation event in the world inspiring action across 7,000 cities and 152 countries around the world. The Hotel will do its part and shut down all power and lights that are not essential to our guests and associates comfort, safety, security and operations. We also encourage our guests to participate in this meaningful cause by turning off or dimming the lights in their guestrooms between 8:30pm to 9:30pm on March 23rd!